DuPont tests a new safety approach that goes beyond traditional behavioral-safety programs. Instead of taking a sprawling corner office when he joined the company, former Alcoa Inc. CEO, Paul O’Neill, settled into his new role by taking his place in a cubicle. This wasn’t the only untraditional move O’Neill made as CEO of the aluminum giant. Unlike other CEOs, O’Neill didn’t place profit or sales on the top of his agenda. 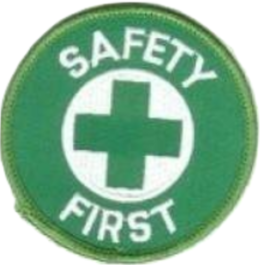 Instead, he made safety his top priority and mission, saying that in order to be considered a world-class company; it first had to become the safest. His goal was to see that no employee was injured in the workplace. In 1987, when O’Neill joined Alcoa, the company’s rate of time lost due to employee injuries was one-third the U.S. average. Today, the time lost due to injury is less than one twentieth of the average and profits of the company broke records upon O’Neill’s retirement at $1.5 billion on sales of $22.9 billion. Today, Alcoa holds itself to the same standards and saw revenue increase to $6.4 billion in 2011. Companies like Alcoa are no longer making safety a priority, but a value. Many of these same companies already have in place robust safety procedures and practices and have industry leading performances to match. That said, a growing number are looking for the next opportunity to move beyond plateaued safety performance, which for many is at or below a total injury recordable rate of 1.0 per 200,000 hours worked. Take the DuPont Spruance plant in Richmond, Virginia. Since the 1960s, this plant has been producing Nomex, a flame-resistant meta-aramid fiber that is employed as a dielectric insulator for high temperatures. The plant is DuPont’s largest manufacturing site by employment and capital investment. The 550-acre plant, located on the James River, is the global headquarters for one of DuPont’s fastest-growing businesses, DuPont Protection Technologies. The Nomex business at the plant has a great track record of growth and improvement over the last decade. Last year, its safety performance was considered better than the DuPont corporate average. But plant management wanted more – they were looking for something to take them to the next level of safety management. They wanted to ensure that plant operations didn’t get stale and stagnate. Companies can and should look for a renewed approach to safety. With more than 210 years of experience as an owner/operator, DuPont continues to evolve its safety practices with a commitment to achieving zero workplace injuries and illnesses. Most recently, the company introduced the DuPont Integrated Approach (DnA) for Safety– a methodology designed to facilitate organizational transformation through the individual. Its basis is a “below-the-waterline view” of people’s values, attitudes and unobservable beliefs, in addition to their observable actions and behaviors. For companies that find themselves in a safety plateau, DnA offers a way to go beyond traditional programs by integrating behavioral, social and cognitive science as a means of more effectively influencing individuals’ values and, ultimately their behaviors. DnA for Safety is a new approach to safety because it takes into account how and why people make decisions. It accounts for motivational factors, which are both intrinsic and extrinsic, and addresses the means by which high-risk habits are formed. DnA enables companies to build a more effective, tailored safety program, based on the specific needs of a business and its personnel, using a more holistic understanding of what drives human behavior. This core element is what differentiates DnA for Safety from traditional safety programs. Traditional programs are about shifting behaviors within an organizational culture; DnA is about shifting an individual’s own beliefs and values. This technique aligns an individual’s attitudes and values with those of an organization, thereby ensuring that they believe and act in the safest manner possible. This transformation process is a journey and takes place one day at a time, one individual at a time. The next frontier in terms of safety is not necessarily related to breakthroughs in safety management practices. To reach new levels of success is going to require more effective safety leadership; less push and more pull, less emphasis on doing things right and more on doing the right things. The DnA pilot program received a positive response from participants across all levels of the Nomex plant. The majority of the employees who participated in the “shop floor” sessions rated the class as the best safety engagement program they ever experienced. The feedback came from employees who ranged in career length from several years to over 40 years, and many people reported DnA for Safety was the ‘best ever’ program they’d encountered. In comparison to other manufacturing operations at the Spruance site, with the DnA program, Nomex remains the site’s best performing business with regard to safety performance. The next step for Nomex is to continue the journey to safety improvement by implementing DnA methodology and reinforcing it as a part of their daily routines and work practices. In order to be great, companies need visionary leaders that are constantly influencing change and striving for excellence in safety. To more effectively initiate change requires more effective leadership capabilities. Traditional methodologies drive results, but have limitations. With a better understanding of the individual decision making process, organizational leadership is far better equipped to motivate and inspire employees and to ultimately transform entire organizations. Bob Krzywicki is a global practice leader for employee safety at DuPont Sustainable Solutions (DSS). ‹ PreviousWatchMe911 Phone App – Check It Out! Next ›Just What Do They Put in a Chicken McNugget?